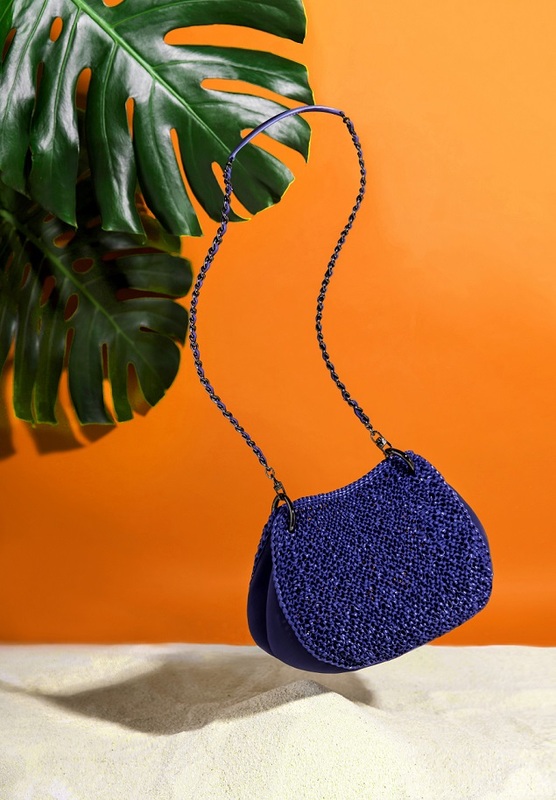 MISCELA, meaning to blend, to mix and to combine in Italian, is the latest groundbreaking collection of ANTEPRIMA WIREBAG demonstrating the chemistry between wire and unconventional material perfectly. The watersports darling, Neoprene not only immediately reminds us that summer is here, its light and spongy characteristics also complement the texture of knitted wire seamlessly in this collection. Thanks to the soft yet sculptural nature of Neoprene, it allows the trapeze bag to shape-shift according to your needs by folding the side panels in and out. This light roomy bag comes with a detachable neoprene pouch to keep everything neat and organized within. It also features adjustable chain strap and loop rings, which can be carried either as a shoulder bag or sling bag.